Edmodo, a California-based developer of free primary and secondary social learning platform connecting more than 30 million teachers and pupils, has announced the extension of premium educational applications to the United Kingdom, Australia, and Canada at BETT 2014, the leading global learning technology event. 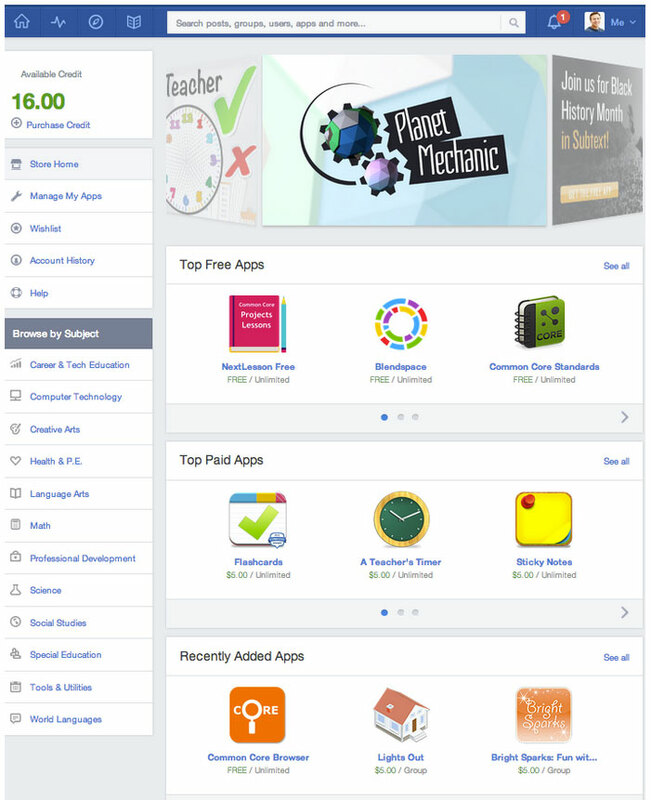 Available in the Edmodo Store for purchase, these premium apps are offered in addition to free apps, which have been accessible to teachers and pupils internationally since August 2013. Housing more than 500 apps spanning subject areas ranging from maths and science to language arts to classroom management tools, the Edmodo Store is continually adding new developers and apps. Currently featured premium app developers include Edukey Education, Backchannel Chat, Zondle, Bongo LLP, and 10monkeys.com. “This new channel in the UK market offers our UK-based company the opportunity to provide local teachers with a wide range of quality educational resources to encourage and support learners,” said Steve Cushing, partner of Bongo LLP. The Edmodo Store allows for app purchase in select regions in USD, AUD, CAD, GBP and EUR. Additional information is available at Apps on Edmodo. This entry was posted on Thursday, January 23rd, 2014 at 7:52 am and is filed under Business News, Digital Products, Education, National News. You can follow any responses to this entry through the RSS 2.0 feed. You can leave a response, or trackback from your own site.